With the start of the new year, many consumers take the time to rededicate themselves to following a health diet. However well-intentioned these plans are, there’s always the temptation to swap a salad for a cheeseburger. If you take a vitamin supplement, stop and ask yourself if you really need it. Chances are you don’t. When the American Osteopathic Association (AOA) hired The Harris Poll to survey consumers, researchers found that more than four out of five people take vitamins or a dietary supplement. However, the organization says just 24 percent of those consumers have a nutritional deficiency. They don't mean as much as many people think they do. Most food is still edible after the expiration date but may not be very tasty. (Of course, lots of packaged food isn't much good before the expiration date, but that's another question). Want to know more? See David Wood's story, Nothing Simple about Food Dating. February 25, 2008 Waiting in line at your favorite grocery store is a guaranteed way to see the covers of magazines targeted toward women. It's a real challenge to find just one week of a year where the cover of at least one check-out tabloid doesn't have blaring headlines about weight loss or the most recent diet sensation. While New York City proposes to force fast-food restaurants to post calorie information on their message boards, these three lawmakers have done the Big Apple one better proposing to make it illegal for a Mississippi restaurant to serve anyone with a body mass index of 30 or more the clinical threshold of obesity. When consumers embrace a particular weight loss program, they may achieve results. But in other instances, try as they might, the pounds can be very slow to come off, if they come off at all. In the latter case, it might not be a matter of how much a dieter is eating, but what the dieter is eating. Changing those old eating habits – adding certain foods to the diet and avoiding others – can make it easier to win the battle of the bulge. At least that’s the conclusion of researchers at Tufts University. At Tufts, the Friedman School Nutrition Science & Policy analyzed 3 previous studies that were based on more than 16 years of follow-up among 120,000 adults. That led researchers there to focus on the glycemic content, or load (GL) of particular foods. The GL is determined by multiplying a food’s glycemic index, a measure of a food’s ability to create blood glucose, by the carbohydrate content. Foods with a high GL were more likely to make it easier to gain weight and harder to lose it. Food with a big GL include refined grains, starches and sugars. Researchers say these high GL foods can boost blood glucose and lead to chronic diseases like type 2 diabetes. Until now, they say, the link to weight gain had not been firmly established. If you are trying, without result, to lose weight you may be interested in the food Smith and her colleagues say you should eat and what you should avoid – or at least keep consumption to a minimum. The study concluded that increasing the amount of red meat and processed meat are the food items most strongly associated with weight gain. Conversely, increasing consumption of yogurt, seafood, skinless chicken and nuts are most strongly associated with weight loss. In fact, the more people ate these foods, the more weight they lost. Interestingly, the researchers found that eating dairy products in general didn’t seem to have much effect one way or the other. The combination of foods you consume also appears to be important. For example, avoiding foods with a high GL seemed to make fish, nuts and other food associated with weight loss even more effective. Weight-neutral foods like eggs and cheese appear to contribute to weight gain when combined with high GL food but are associated with weight loss when eaten with low GL food. The chief take-away from the study seems to be this: not all calories are created equal. The Tufts researchers advise those trying to shed a few pounds to not only emphasize specific protein-rich foods like fish, nuts, and yogurt to prevent weight gain, but also focus on avoiding refined grains, starches, and sugars in order to maximize the benefits of these healthful protein-rich foods. To further help consumers identify foods to eat and avoid, the Harvard Medical School recently published this list of 100 foods and their GL. Illegal anabolic steroids are not the only way men have tried to get a bodybuilding advantage. Most men are now well aware of the hazards those drugs can carry and avoid them. Instead, more men are turning to legal over-the-counter bodybuilding supplements and it's these products that health officials are worried about. Research presented at the American Psychological Association’s annual convention warns that some users rely on these products so much that it should be considered an eating disorder. “These products have become an almost ubiquitous fixture in the pantries of young men across the country and can seemingly be purchased anywhere and everywhere -- from grocery stores to college book stores,” said Richard Achiro, of the California School of Professional Psychology at Alliant International University, Los Angeles, who presented the research. Achiro says marketing efforts for these product target “underlying insecurities associated with masculinity.” He says they're presented as a solution to fill a void so many young men feel. The study involved young men who purchased legal performance-enhancing supplements and worked out at a gym at least two times a week. They were questioned about supplement use, self-esteem, body image, eating habits and gender role conflicts. The researchers said they were concerned when they learned more than 40% of the young men in the survey reported that their use of supplements had increased over time and 22% said they replaced regular meals with dietary supplements that are not intended to be meal replacements. Most alarming, said Achiro, was that 29% expressed concern about their own use of supplements and 8% said their physician had told them to cut back on or stop using supplements due to actual or potential adverse health side effects. A few of the participants had actually suffered negative health effects. About 3% said they had been hospitalized for kidney or liver problems that were related to the use of supplements. Achiro says the results make clear that body-conscious issues aren't limited to young women. Why men are also effected isn't exactly clear, but he says evidence suggests it's a combination of factors, including body dissatisfaction and gender role conflicts. The bodybuilding community has not written off all supplements – just some. An essay on Bodybuilding.com warns users to avoid certain products, including ones that contain Vanadyl, which it says mimics insulin and is possibly harmful. 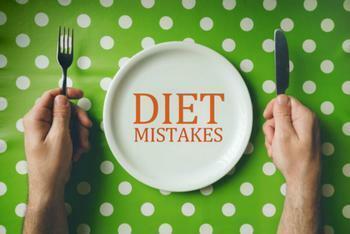 What is the most important aspect of making a successful diet plan? Many people might say that it has to do with avoiding unhealthy foods and substituting them with well-known, healthy options. However, new research shows that this line of thinking may actually lead to failure more often than not. Instead, researchers from Baylor University’s Hankamer School of Business say that consumers should focus on adding healthy foods that they actually enjoy to their diet. “Our research shows that instead of creating rules to avoid one’s favorite treats, dieters should focus on eating healthy foods that they enjoy. . . Dieters who restrict themselves from consuming foods they love most may be setting themselves up for future failure,” said Dr. Meredith David, assistant professor at Baylor and lead author of a study on the subject. The study analyzed data on 542 participants who answered questions related to creating a successful diet plan. The focus of the study was to gauge participants’ level of self-control and see how that affected their choices. When asked about diet rules that they would create, a majority of respondents said that they would add in provisions that restricted or avoided certain foods. This was especially the case amongst individuals who were considered to have low levels of self-control and low levels of success with dieting. Additionally, low self-control individuals were more likely to think of foods that they really enjoyed when listing unhealthy foods that they should avoid. On the other hand, high self-control individuals were more likely to list foods that they liked, but ones that they could reasonably give up. Low self-control participants were also most likely to think of foods they didn’t like when trying to create a list of healthy foods that they should eat, like Brussels sprouts. High self-control individuals were more likely to think of healthy foods that they also enjoyed eating, such as fruits like strawberries. These findings show that consumers who have low self-control may be approaching dieting in the wrong way. “In coming up with plans to enhance one’s health and well-being, low self-control individuals tend to set themselves up for a harder pathway to success by focusing on avoiding the very goods they find most tempting. . . Our data reveals that individuals who are generally more successful at reaching their goals tend to develop more motivating plans regarding the inclusion of healthy, well-liked items and the exclusion of unhealthy items that are not one’s favorites,” said David. The researchers believe that more success could be achieved by dieters if they adopt plans that focus more on foods that they enjoy instead of focusing on what they will be missing out on. “The next time you decide to go on a diet or seek to improve your health by altering your food consumption, opt for strategies that focus on including healthy foods in your diet, and focus specifically on those healthy foods that you really enjoy eating,” said David. The full study has been published in the journal Psychology & Marketing. Coca-cola took a lot of heat when it was revealed that it bankrolled studies that showed obesity was largely the result of sedentary lifestyles and not over-consumption of calories. Critics pounced, pointing out that there were scores of other studies – not funded by an interested stakeholder – that showed just the opposite. In fact, this week we reported on the conclusions of two Loyola University Chicago researchers who say categorically, exercise doesn't help you lose weight. Kent says that's not what Coke was trying to do, but vows that the company will do better. The New York Times reported last week that Coke has funneled money to industry-friendly researchers. It specifically cites Coke's role in setting up the nonprofit Global Energy Balance Network to investigate the role of calorie consumption vs. lack of exercise in obesity. Michael Jacobson, executive director of the Center for Science in the Public Interest, says university-based research organizations should sever their ties to the group. “A good first step would be for the schools to comply with the request of Senator Richard Blumenthal to publicly disclose all of their grant arrangements with Coca-Cola and ensure that research on their campuses will be unbiased and unbought, impartial and objective,” Jacobson said in a statement. The Times cites an analysis published in PLOS Medicine that found studies financed by Coke and other beverage companies were five times more likely to find no link between consumption of sugary drinks and weight gain. Charter and recruit an oversight committee of independent experts to advise and provide governance on company investments in academic research. Engage leading experts to explore future opportunities for our academic research investment and health and well-being initiatives. When it comes to pointing fingers of blame for the obesity epidemic, fast-food restaurants get a lot of attention. Yes, a triple bacon cheeseburger served with a large order of fries will pack on the pounds if that happens to be a staple of your diet. But researchers say fast-food restaurant meals really aren't any more fattening than those served at casual chain and independent restaurants. Their study in the Journal of the American Academy of Nutrition and Dietetics found 92% of the 364 measured restaurant meals from both large-chain and independent restaurants had more calories than the recommended number for a single meal. In 123 restaurants in three cities across America, there was at least one meal on the menu that, without beverages, appetizers, or desserts, exceeded the number of calories a person should consume in a single day. While fast-food restaurants post on menus the number of calories each item has, most other restaurants don't. So consumers often are clueless to the number of calories they're swallowing. Senior author Susan B. Roberts, of Tufts University, says consumers over-eat at restaurants because it tastes good and the portions are huge. She says it simply overwhelms most people's self-control. The researchers studied the meals served at restaurants in Boston, San Francisco, and Little Rock, Ark. The data was collected between 2011 and 2014 by comparing the meals against human calorie requirements and USDA food database values. 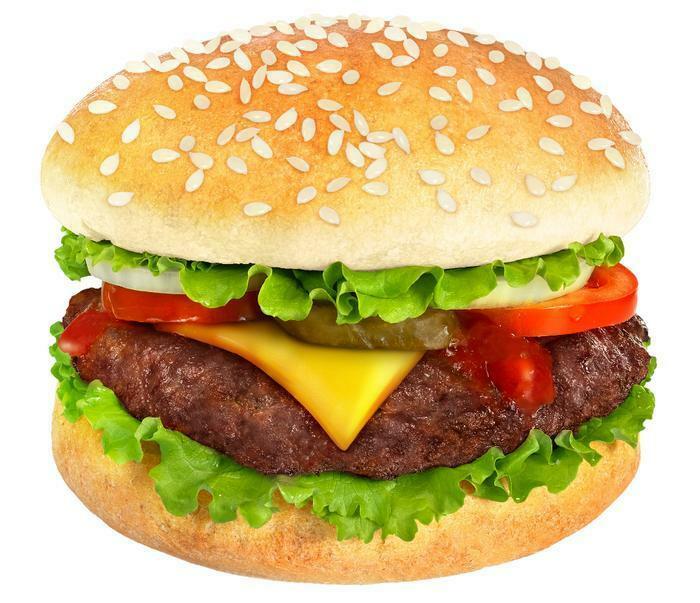 The study looked at all types of meals, not just burgers and fries. The fare included American, Chinese, Greek, Indian, Italian, Japanese, Mexican, Thai, and Vietnamese. The highest caloric content was found at American, Chinese, and Italian restaurants, where the mean calorie count per meal tipped the scales at 1,495 calories. Part of the problem is portion size. With so many restaurants competing with one another, it has become an article of faith that serving sizes must be huge in order to fill tables. “Standard meals are sized for the hungriest customers, so most people need superhuman self-control to avoid overeating,” said co-author William Masters. Since women generally have a lower daily requirement than men, Masters says restaurant meals post a particular hazard for women trying to watch their weight. What's the solution? The research team has concluded one answer is empowering customers to order partial portions at partial prices. That, Masters says, would ultimately lead restaurants to adjust their normal serving size toward what the average customer wants, rather than the hungriest person. The NBC reality series “The Biggest Loser” has been an inspiration to many obese people. 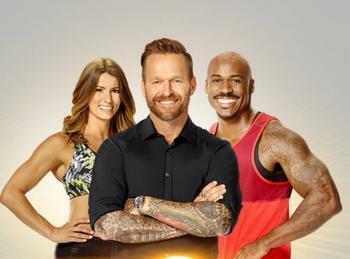 They have watched as contestants embraced a supervised, on-camera lifestyle transition to a healthy diet and exercise. Even the contestants who didn't win went home happy, with slimmer, lighter bodies. But a team of U.S. researchers wondered what happened next? Did the feel-good story continue, off-camera? In most cases, it did not. The researchers investigated 16 of the show's contestants, 14 of whom participated in the follow-up study. All but one gained back some of the weight. Four regained everything they lost, and then some. The study found the 14 participants lost an average of about 128 pounds, regaining about 90 pounds over six years. The “why” appears to center on changes to metabolism, which is kind of like your body's miles-per-gallon (MPG) rating. You want your body to have the MPG of a Hummer, not a Prius. In their study, the researchers determined that the dramatic weight loss altered the body's metabolism, the rate at which it burns calories. As subjects dropped pounds, the body slowed the rate at which it burned calories. They call it metabolic adaptation. Using before and after data for the contestants, the researchers found their resting metabolic rate (RMR) slowed in the years following the show. The researchers said their study, supported by the National Institutes of Health (NIH), is probably the longest follow-up investigation of the changes in metabolic adaptation and body composition following weight loss and regain. “We found that despite substantial weight regain in the six years following participation in 'The Biggest Loser,' RMR remained suppressed at the same average level as at the end of the weight loss competition,” the authors wrote. They found mean RMR after six years was about 500 calories a day lower than expected, based on the measured body composition changes and the increased age of the subjects. The contestants who lost the most weight, they said, also experienced the greatest slowdown in RMR at that time. Those most successful in keeping the lost weight off after six years also experienced greater ongoing metabolic slowing. “Metabolic adaptation persists over time and is likely a proportional, but incomplete, response to contemporaneous efforts to reduce body weight,” the study concludes. The takeaway, however, is not that obese people should not try to lose weight and adopt a healthier lifestyle, far from it. Rather, it's an acknowledgment of the physical obstacles your body can throw up to maintaining the weight loss. Despite their weight regain, the contestants were “quite successful” at long-term weight loss compared with other lifestyle interventions, the study found. The researchers also found that those who experienced the biggest metabolic change did not experience the greatest weight regain and those who were most successful in keeping the weight off had pretty much the same metabolic slowdown. 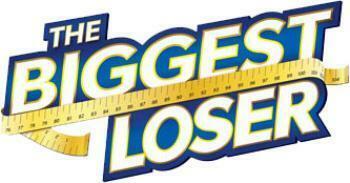 It should be noted that participants in “The Biggest Loser” all had close medical monitoring during the show. 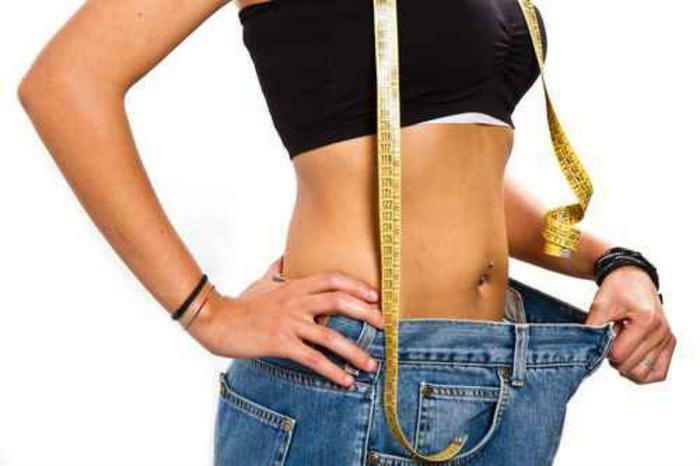 You should not undertake any sort of significant weight loss effort without consulting a doctor first. Federal law now requires most fast food restaurants to post calorie information on menus, but it you're trying to lose weight by cutting calories, Cornell University researchers say you're off base. Instead, they suggest simple, routine behaviors may be your key to losing or maintaining a healthy weight. To explain what they mean, Cornell Food and Brand Lab researchers developed an online Global Healthy Weight Registry. People who had already achieved a healthy weight were asked to sign up and then answer questions about their diet, exercise, and daily routines. That became the focus of scientific analysis, which zeroed in on some common routine behaviors of those who stay healthy and slim. For example, the analysis determined that 96% of the people ate breakfast every day and 42% exercised five or more times a week. At least half said they weighed themselves at least once a week. What they didn't do, by and large, was go on diets. Although 74% never or rarely dieted, 92% of the people in the registry said they were generally conscious of what they ate. As part of their healthy habits that lead to weight control, 44% reported at least one non-restrictive strategy, such as listening to inner cues, cooking at home, and eating high-quality, non-processed foods. "Most slim people don't employ restrictive diets or intense health regimes to stay at a healthy weight,” study co-author Brian Wansink said in a release. “Instead, they practice easy habits like not skipping breakfast, and listening to inner cues. If you struggle with weight, try adding these simple practices to your routine, you may be surprised how easy it is to be healthy!" While there have been studies showing calorie restriction provides health benefits in other areas, many nutritionists stress the importance of eating a healthy diet, not necessarily a small one. The National Institutes of Health (NIH) recommends a diet rich in nutrients, such as vitamins, minerals, and dietary fiber. It also says a healthy diet is made up of fruits and vegetables, whole grains -- like oatmeal, whole-wheat bread, and brown rice -- seafood, lean meats, poultry, and eggs. Last year, the U.S. government updated its Dietary Guidelines For Americans. You'll find them here. Amid all the fad diets and weight control programs, there is one very simple way to lose weight: eat less. Easier said than done, however. Over the years, the portion sizes consumers expect – and get – have gotten significantly larger. That might be fine for a portion of steamed broccoli, less fine for a portion of meatloaf. When you look on a food nutrition label, it will tell you how many servings the product contains. But once on a plate, chances are the serving will look pretty small to some consumers who are accustomed to larger portions. Sticking to the serving size, however, could make it easier to lose or maintain weight. New research published in the scientific journal Obesity has confirmed what diet product companies have long known – when you package food in small, controllable portions, it is easier to lose weight. 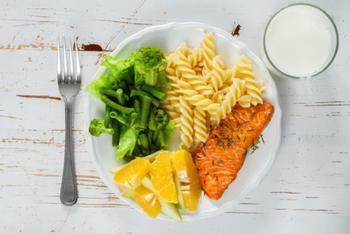 “Participants who were prescribed twice-daily prepackaged meals lost about 8% of their initial weight, compared to participants in the control group – who could select their own diets – who only lost about 6%,” said lead researcher Cheryl Rock, of the University of California San Diego School of Medicine. The real key, she says, is removing the guesswork involved in planning and preparing low-calorie meals. It all sounds simple enough, but Martin Binks, a spokesperson for The Obesity Society, says it may be hard for someone who is overweight or obese to put it into practice. He notes that it is important to reduce the body's energy intake for weight loss, but a body accustomed to large amounts of energy will crave it when it's denied. Still, he notes this strategy is a step toward reducing obesity. According to research published in Food Technologists magazine, consumers may be slowly moving away from giant-sized portions. Among the trends uncovered by the research, there was a conscious shift to smaller portion sizes reported by one-third of the consumers in the survey. Many restaurants, however, still serve up huge portions – more than a human being should eat in a day, in some cases. The reason is competition. 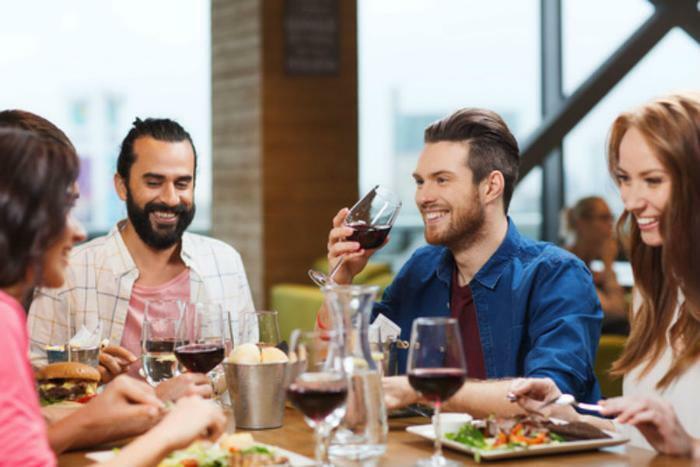 Restaurants know consumers can choose to dine out anywhere. They conclude that their chances are better of attracting consumers if they provide a generous spread – and in many cases, they are correct. Food products that come in prepackaged portions are an easy way to both control portion size and keep track of calories. The downside is these meals often contain large amounts of sodium. A steady diet might expose you to excessive amounts of salt. The National Institutes of Health (NIH) offers a number of tips for controlling portions when cooking from scratch, including using smaller plates and cups and sticking to suggested serving sizes. If you're still hungry, eat more vegetables but skip dessert. 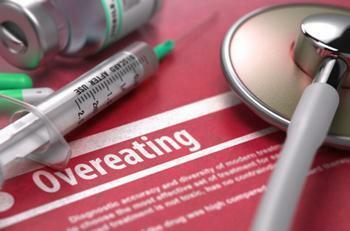 Last month, we reported on a study which showed that overeating leads to even more eating. The premise of the research was that eating too much in one sitting suppresses a hormone that tells your brain that you’re full. Now, a new study conducted by the University of Georgia, Binghamton University, and Pennsylvania State University have reached similar conclusions. Researchers found that foods that are high in fat disturb neural messages to the brain that allow you to feel full. However, they believe that manipulating microbes in the stomach may reverse the effect. The study involved examining the “gut-to-brain” neural pathways in mice, who were sustained on a high-fat diet. The researchers found that regions of the brain responsible for processing feeding behavior became inflamed when high amounts of fat were introduced. In order to determine the cause, they began examining microbiota in the stomach to see if the diet influenced composition. After finding a connection, lead researcher Dr. Claire de La Serre and her colleagues began injecting mice with low doses of a spectrum antibiotic that was able to reverse the negative effects. There is potential for the impact of this study to be great. It precisely demonstrates to what extent stomach microbiota are affected by a high-fat diet. Information gleaned from the research could allow the medical community to come up with new therapies and medications that counter trends in overeating and obesity, two major health concerns. One additional study has already made some progress by showing that eating certain types of foods can benefit microbiota composition in the stomach. Researchers found that eating blueberries, which have high levels of anthocyanin, can help lessen inflammation and lead to more stable blood sugar levels. Additional research into other bioactive foods will almost certainly follow. Research conducted by De la Serre et al is scheduled to be presented at the Annual Meeting of the Society for the Study of Ingestive Behavior (SSIB), which takes place from July 12-16. Metabolism gets blamed when people put on weight or have trouble losing weight, but you can learn how to speed up your metabolism. Increasing your metabolism can help you burn calories, replace fat with muscle and give you more energy. The key to increasing your metabolism is understanding what it is. The plaintiff, a 30-year-old woman from Braintree, Mass., experienced severe gas, cramps, and an urgent need to go to the bathroom after eating Ruffles Light potato chips.